Steelcase has the products + services + insights that can help you create and maintain a sustainable, interconnected workplace. Steelcase offers an employee survey, developed in collaboration with global research firm Ipsos, that measures workplace satisfaction, a strategic lever that can positively impact employee engagement within an organization. Steelcase has a dedicated team of A+D consultants supporting the design community. Contact your local A&D workplace consultant for more information. And to make it easy, you can include both your work environment products and services like interior design, delivery, and installation into your low, monthly payment. Just ask your local Steelcase dealer for a quote. Since 1994, our consultants have been sharing their insights and experience to help identify solutions to have a positive effect on cash flow, return on equity and return on assets. We can provide information on topics such as tax implications and industry trends, as well as an analysis of tactics like lease vs. buy. Our Great Rate financing promotion helps you to take advantage of below market interest rates from 0% while creating a high performing, sustainable workplace that brings people together to focus, collaborate, socialize and learn. Contact your local Steelcase dealer for eligibility requirements. If you have office furniture that you no longer want or need, Steelcase can help. Our Phase 2 Program consultants can evaluate your furniture inventory and offer options for reuse, all with a “zero landfill” goal. The intent is for these used products to be placed back into service for reuse with other organizations, or because of age and condition of the used products, be recycled into new usable products. There are many options from which to choose with social, environmental, and economic benefits. Our consultants can assist you in developing a market price for your used furniture, acting as an agent to sell your used furniture on the open market, or possibly receiving credit to help offset the cost of your new Steelcase furniture for your workplace. More than just helping the environment, you can also help others. Steelcase helps businesses match their used office furniture, in addition to other equipment, with non-profit and charitable organizations around the globe. With a global reach, from U.S. cities devastated by natural disasters to countries desperately trying to rebuild their infrastructures, using this option offers significant benefits to both donors and recipients. This effort has extended the useful life of thousands of furniture products and has dramatically reduced the amount of waste dumped to landfills. Reclaiming the materials found in office furniture and other assets is not always a small undertaking because of many variables. Yet, there is merit to recycling. Steelcase identifies materials found in used furniture that can be reclaimed and made into something new again. We can help to determine the feasibility and value for you. Although your office is done using certain furniture, could other locations within your organization benefit from using it? Our asset management solutions can help. We can keep an inventory of exactly what you have, where it is, and if it’s available–making it easy to manage while making your investment go farther. For large organizations with multiple locations, a strategic approach is necessary to manage the complexity in order to drive down and control costs. We can help. Through a single point of accountability, we apply our experience and processes in furniture and asset management to positively impact real estate utilization; furniture acquisition, moves and maintenance costs; social and environmental factors. Performance Management guarantees measurable and consistent service levels, assuring that Steelcase is accountable for the total end-to-end experience — from request for quote, through delivery, installation and ongoing services. Looking to improve your performance, reduce cycle times, and save money? Our web-based tools help you streamline facilities management and furniture procurement tasks. Want to know more? Contact your local Steelcase dealer or your local Steelcase representative. Need a single chair? Buy it from an on-line catalog that shows only the products, options, and finishes you approve. Need a furniture solution to address the needs of an entire department? Use the same portal to find, review, and purchase from a Steelcase dealer. Our eCommerce engine can be scaled to capture all your spend at the line item level without you having to touch a key. 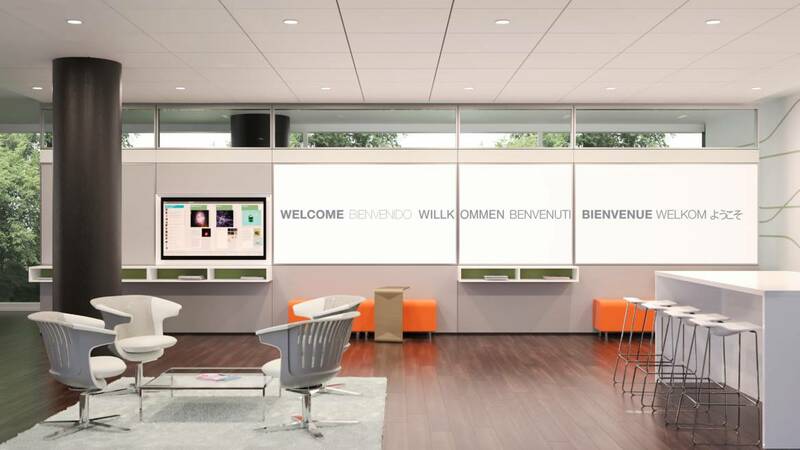 Transparency is yours using leading edge integration between our portal and the Steelcase dealer business system. In real time (anytime), view furniture quotes, purchase order status, delivery schedules, punch list issue status, invoice and payment details, and historical spend reports.